Giveaway has ENDED! Thank you to all who entered. I've been eating and drinking Matcha for a while now. To be truthful, I drink it more often than I use it in recipes. There are so many ways to use it in recipes, though. 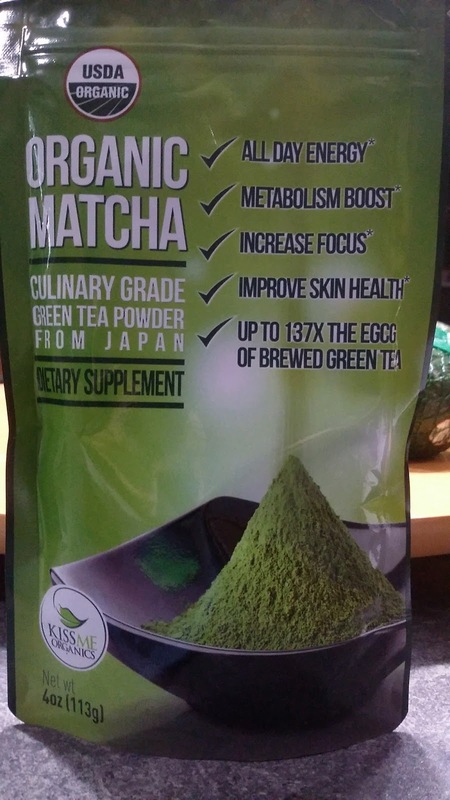 This past week, I was trying Kiss Me Organics Matcha again. You can see my original post, which has a LOT more information about Kiss Me Organics and a recipe for Matcha Cranberry Chocolate Chip Muffins HERE. I also have a recipe for No-Bake Whole Wheat Matcha Chocolate Chip Cookie Bites, if you're interested. This time, I tried it in a Matcha Chia Pudding, but decided that I don't really like Chia pudding. 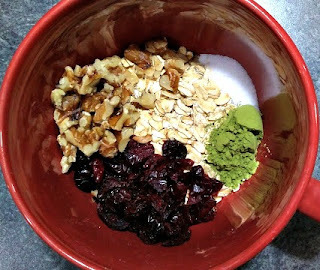 So, I went back to the drawing board and decided to use it in my morning oatmeal and we had a winner! 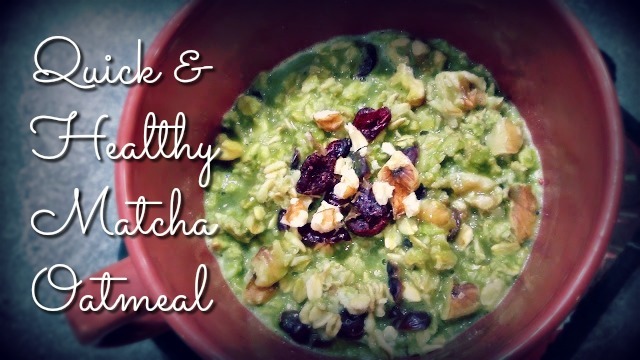 Getting your Matcha fix in oatmeal is so easy! And it's such a great way to start your day! Even though I don't like using the microwave if I don't have to, oatmeal is one of the things that I still cook in the microwave! I cook on high for 2 1/2 minutes. 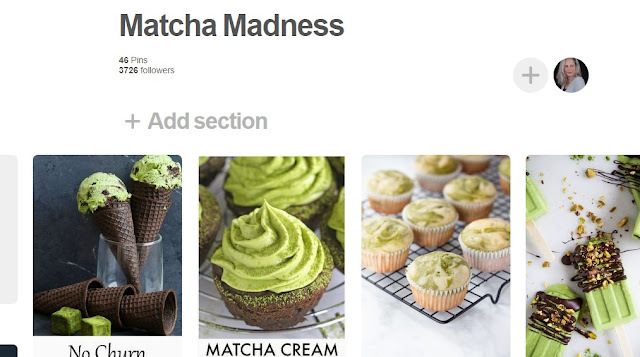 For more Matcha Recipes, make sure you check out our Matcha Madness Pinterest Board! Matcha is a great way to give yourself a clean energy boost. Matcha is packed with amino acids and 137x the antioxidants of brewed green tea to support a healthy metabolism, healthy skin, teeth, and bones, and fight against age-related diseases. Just 1 teaspoon a day can help support your weight loss goals by curbing sugar craving and increasing fitness endurance & thermogenesis (your body’s rate of burning calories). Giveaway begins on November 14th and ends December 2, 2017 at 11:59 p.m. This post may contain affiliate links. If you shop through those links I will receive a small percentage, but your price will be the same as always. The No Bake Whole Wheat Matcha Chocolate Chip Cookie Dough Bites look delicious.